Can you imagine how much money and natural resources could be saved if the world adopted energy efficiency as a priority in sectors such as public lighting or industry? Although this is an essential concept for the future of infrastructure, it’s still little known in countries such as Brazil. In 2016, for example, when the American Council for an Energy-Efficient Economy (ACEEE) examined policies and performance of the world’s 23 top energy-consuming countries, the Latin American giant ranked 22nd. Insufficient investment in infrastructure helps explain this outcome, as well as Brazil’s lagging economic growth over the past seven years. Over the last two decades, investments were well below the estimated cost to replace or repair existing infrastructure (estimated at 3 percent of GDP). Energy saw investments decrease from above 2 percent of GDP in the 1970s to 0.7 percent of GDP in 2016, according to a recent report. However, a new initiative – combining financing and technology innovation – can help fill this gap, and render Brazil’s energy sector more efficient and sustainable. Over the next 15 years, the World Bank’s Financial Instruments for Brazil Energy Efficient Cities (FinBRAZEEC) Project will focus on two urban sectors that have the potential to attract private sector investment at scale: efficient street lighting and industrial energy efficiency. 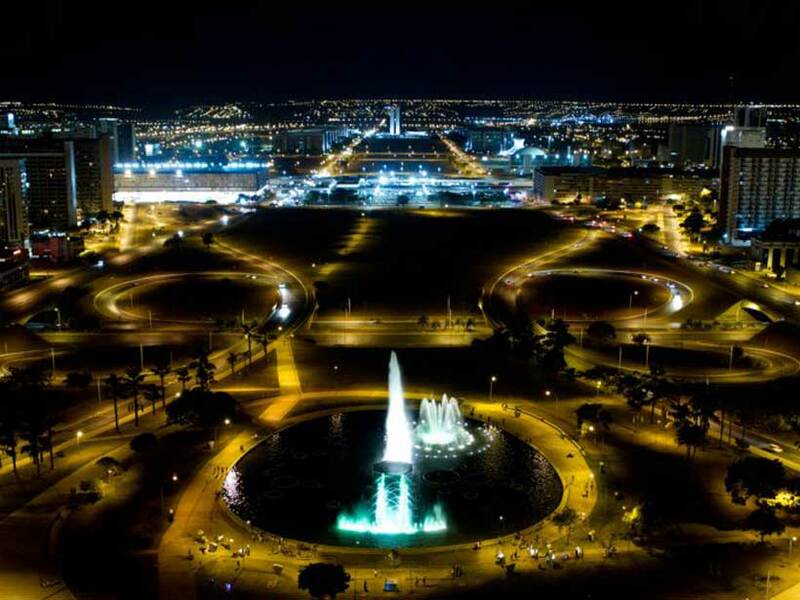 With FinBRAZEEC, Brazilian cities can create subprojects to completely replace the current sodium-vapor lamps for LED. Also, industries will be able to update pumping systems, engines, furnaces and other types of equipment. Given Brazil’s 86% urbanization rate, these initiatives have tremendous potential to reduce energy use, pollution and greenhouse gas emissions. To enable them, FinBRAZEEC is piloting one of the most innovative financing structures the World Bank has developed to date. The World Bank will partner with Caixa Econômica Federal (CEF), the second largest state-owned financial institution in Latin America and the fourth largest bank in Brazil, as the project’s financial intermediary. Under the project, CEF will lead the co-lending arrangement comprising the Green Climate Fund (GCF), CEF, and commercial lenders to eligible efficient public street lighting and industrial energy efficiency projects. In order to mitigate the credit risk of energy efficiency projects, commercial lenders will benefit from a partial credit guarantee offered by CEF. The guarantee product will be backstopped by a $200 million contingent loan from the World Bank and grants from the GCF and the Clean Technology Fund (CTF) – $195 million and $20 million, respectively –, providing additional credit enhancement by supporting the facility, when needed, to meet its debt obligations to commercial lenders. 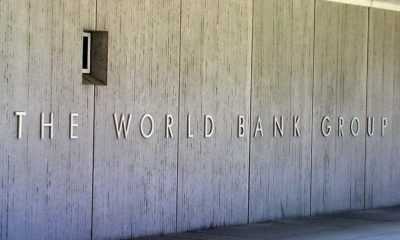 Altogether, this financing facility is expected to make more than $1 billion available for urban energy efficiency projects, leveraging the concessional financing being provided by the World Bank and other international organizations. FinBRAZEEC is expected to serve as a demonstration model for leveraging private sector capital for clean energy investments in Brazil. Once the model is proven, it can be replicated in other countries, and in other sectors in Brazil. Moreover, it will provide an example of how Brazil’s now scarce public-sector resources, particularly those of the public banks, can be used to leverage private sector capital for infrastructure investments. Currently, while there is private investment in infrastructure, the majority – around 70 percent – comes from public sources, including state banks, where resources are increasingly limited. 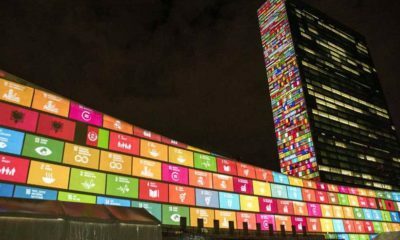 Mobilizing private sector investments not only are essential to help Brazil fill its infrastructure gap: without them, meeting the United Nations Sustainable Development Goals (SDGs) targets by 2030 will be much harder. The United Nations Conference on Trade and Development (UNCTAD) estimates that developing countries alone would require annual investments of between 3.3 trillion and 4.5 trillion dollars. About 2.5 billion dollars a year are missing to fill that need. FinBRAZEEC is expected to help Brazil avoid the equivalent of 12.5 million tons of CO2 equivalent over the life of the project, as well as to help the country meet its goal of improving energy efficiency in the power sector by 10 percent by 2030, set as part of its Nationally Determined Contribution under the Paris Agreement on climate change. The facility will be complemented by support for technical assistance and project preparation being provided by the GCF, the Global Infrastructure Facility, and the World Bank’s Energy Sector Management Assistance Program (ESMAP). FinBRAZEEC draws on a series of lessons learned from previous World Bank experience in Brazil. ESMAP technical assistance helped identify viable business models for investment in urban street lighting, industries, transport and public buildings, providing useful tools and lessons for designing the FinBRAZEEC project. The project also builds on the experience of another recent World Bank contingent loan for Uruguay’s national power company, which provided the government with a new financial mechanism to mitigate the impact of drought – and resulting decrease in hydroelectric energy generation – on the cost of electricity and on public sector accounts. 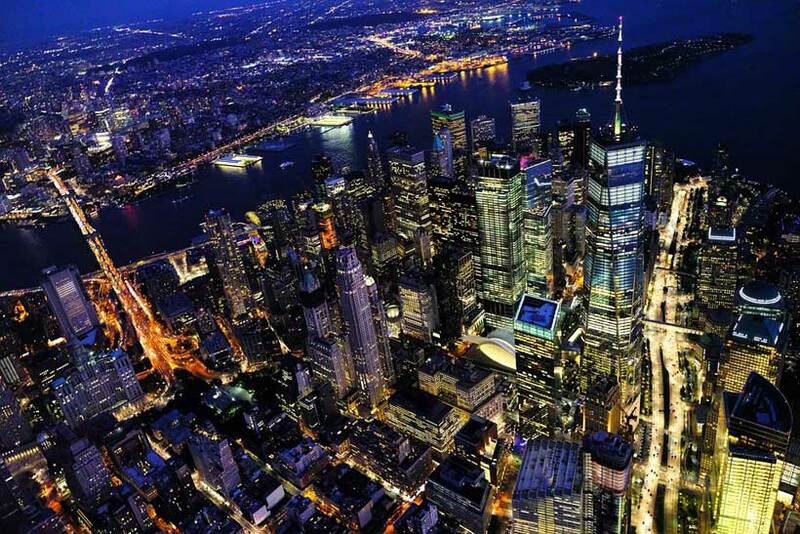 By 2050, the population of cities is projected to double from its current size, with nearly 70 percent of the global population residing in urban areas. For many, cities are beacons of hope that offer the prospect of a better job or education, but a new body of research is highlighting how the complex interactions between cities, their surrounding rural areas, and structural transformation can make or break cities as engines of prosperity. At a recent Policy Research Talk, World Bank Senior Economist Forhad Shilpi shared insights into how to manage this process based on more than a decade’s worth of research spanning many of the world’s poorest countries. According to Shilpi, all cities share certain common features: higher population density, a predominance of non-agricultural activities, a high degree of labor specialization, and a diverse set of economic activities. But history demonstrates that the underlying economic structure of cities can vary significantly. Prior to the industrial revolution, cities like ancient Rome grew through concentrated trade and services. The growth of manufacturing in the 19th century produced the modern industrial town, exemplified by Manchester. More recently, knowledge-intensive industries have helped shape post-industrial cities like San Francisco. According to research by Shilpi and her colleagues, cities in many developing countries still bear a greater resemblance to ancient Rome than to Manchester or San Francisco. In Nepal, for instance, Shilpi found that the size of manufacturing firms in cities was on average no larger than in rural areas and these firms employed no more skilled managerial workers than those in rural areas. Both of these characteristics point to an absence of the kind of high-productivity jobs that are associated with economic specialization. Worryingly, this pattern applies more generally for cities across South Asia and to an even greater degree for many cities in Africa. According to a widely-cited study published in 2000, African countries are prone to urbanization without economic growth. More recent research has found that African cities are relatively closed to the world, with only half of economic activity taking place in sectors that produce tradable goods and services. Some cities have even been described as consumption cities that live off the proceeds of resource exports rather than more dynamic manufacturing and services sectors. Despite this depressing portrait, Shilpi still offered her audience cause for optimism. In 1999, Shilpi’s native country of Bangladesh opened the World Bank-supported Jamuna Bridge, which crosses the Jamuna River and connects the rural and poorer northwest part of Bangladesh to the rest of the country. The nearly 5-kilometer bridge brought about a dramatic reduction in trade costs with travel time cut by at least four hours and freight costs reduced by 50 percent. 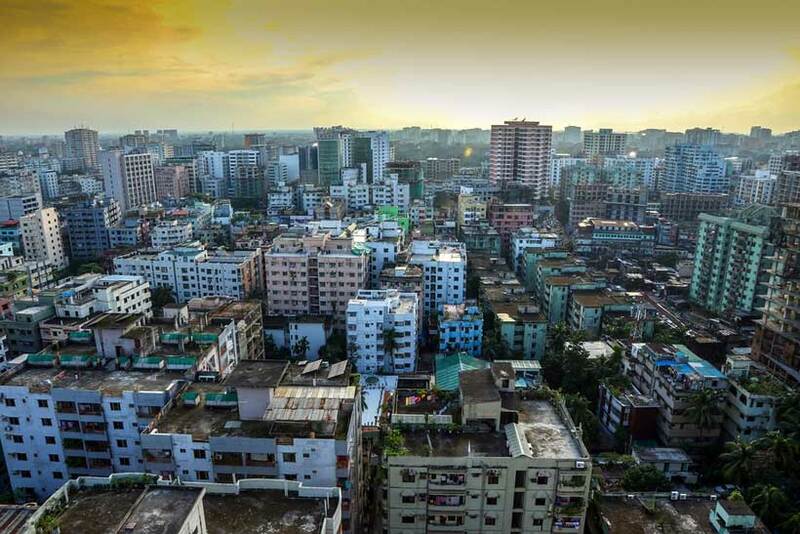 According to Shilpi and colleagues’ research, the greater integration of the northwest with the rest of Bangladesh following the opening of the Jamuna bridge transformed both rural and urban areas. In the northwest, population density increased and rice yields rose significantly. Manufacturing moved to urban areas, while the agricultural and services sectors generated more employment in rural areas. Additional research on trade costs in Burkina Faso and Mali confirms a broader point: bringing down trade costs through smart investment in infrastructure can allow rural and urban areas to specialize in the sectors for which they are best suited, with benefits for both rural and urban populations. Another key element that connects cities to their surrounding areas is internal migration. Cities are almost always the destination of choice for internal migrants, but a study by Shilpi and her colleagues of migration in South Africa suggests that the decision about which city to migrate to is far from arbitrary. The study found that unskilled migrants were more concerned with levels of unemployment across cities, while skilled workers were driven more by wage differences. The results point to the role that migration can play as an engine for equality between regions—those without jobs move to where the jobs are, while those seeking higher wages move to where wages are higher. For individual cities, this presents a challenge, since efforts to create new jobs will only have a partial impact on their own unemployment rate. Migration can also further exacerbate inequality within a city, as unskilled job seekers find themselves concentrated in areas lacking basic amenities like electricity that the wealthier residents can afford. Shilpi highlighted the positive role that targeted policies—especially education initiatives targeted to poor areas—can play in helping manage these challenges. Managing cities not as islands, but as parts of an integrated whole, may serve as one of the most effective methods for building a world without poverty. Africa is urbanizing fast, as its population grows and many flocks to cities in search of jobs, education and healthcare. Studies show that hundreds of millions more Africans will live in cities over the next three decades. Many of these new urban Africans, however, are likely to end up in informal settlements. Already an estimated 200 million Africans live in informal settlements—often without access to energy and sanitation. The growing class of urban poor need access to decent housing. 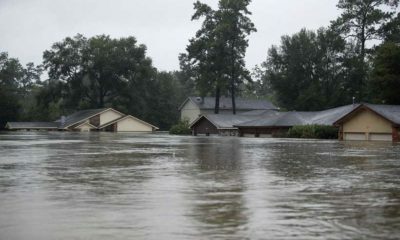 But the challenge is that the global housing sector already emits almost a third of global greenhouse gas emissions and uses up to 40 per cent of the planet’s total resources. New approaches are clearly needed. UN Environment, UN Habitat, the Yale Center for Ecosystems in Architecture and associated partners are working on these designs, one of which is on display at the UN Environment headquarters in Nairobi, Kenya. 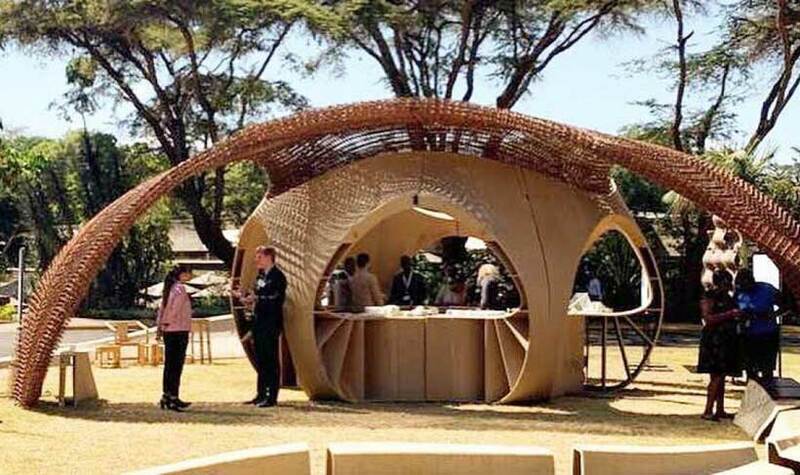 First unveiled at the fourth United Nations Environment Assembly, the 3D-printed modular structure, made from biodegradable bamboo, aims to spark ideas and debate on how future biomaterial processes can help meet the Sustainable Development Goals, Habitat III New Urban Agenda and Paris Agreement. The pavilion shows how post-agricultural waste—like bamboo, coconut, rice, soy and corn—can be turned into construction materials. It demonstrates solar energy and water systems that make homes self-sufficient and zero carbon. It highlights how micro-farming can be achieved with plant walls. All these features, and more, are integrated, monitored and managed by sensors and digital controls. It is fitting that the pavilion is based in Kenya, as the government there has prioritized affordable housing as a key pillar of its Big Four Agenda, which aims to make the East African nation an upper middle-income country by 2030. Over the next five years, the government plans to build over 500,000 affordable houses across the country to meet the ever-growing housing demand. To achieve the low-cost housing agenda, however, the industry needs to embrace technological changes that will result in the use of innovative sustainable construction, the aggregate effect of which would be to lower the embodied energy and average cost of manufacturing and housing. “Architecture must address the global housing challenge by integrating critically needed scientific and technical advances in energy, water, and material systems while remaining sensitive to the cultural and aesthetic aspirations of different regions,” said Deborah Berke, Dean of the Yale School of Architecture. The pavilion serves as a starting point for those in government and industry to think about what they can do better. It is part of a series of demonstration buildings, which started with a 22-square-meter “Ecological Living Module”, powered by renewable energy and designed to minimize the use of resources such as water. This module was displayed at the United Nations High-level Political Forum on Sustainable Development in 2018. While Member States were adopting a resolution on sustainable infrastructure at the UN Environment Assembly, the Cities Summit reinforced the importance of local action and the need for an integrated approach to urban infrastructure. Already 60 per cent of waste and three quarters of resource use and greenhouse gas emissions come from cities, making them great places to tackle sustainable consumption and production. But preserving the well-being of an increasingly urban population, many of whom still lack access to affordable and adequate housing and basic services, is just as important as we seek to achieve the sustainable development goals. An integrated approach to urban infrastructure can help do both. In the São Paulo neighbourhood of Jardim Helian, around 14,000 people live in an informal settlement, where the unplanned nature of the area has led to obvious problems. The Sustainable Cities Programme and UN Environment is helping create an integrated “neighbourhood approach”, which addresses multiple environmental issues by bringing locals together with government and including their concerns in city planning. Lifestyles are already becoming more sustainable there thanks to the intervention. According to the International Resource Panel Report Weight of Cities, optimizing systems and creating cross-sector synergies between buildings, mobility, energy and urban design can reduce greenhouse gas emissions and resource use by up to 55 per cent. UN-Habitat head Maimunah Mohd Sharif, who opened the summit alongside Msuya, concurred, saying that cities are where “the most-severe challenges arising from human-made climate change will have to be confronted”. Many solutions exist, such as smart supermarkets and district energy systems, which allow wider systems integration. The retail chain Aktiv & Irma in Germany, for example, has installed an integrated system that links refrigeration, lighting, heat, ventilation and air conditioning. This optimizes power use and cuts 20 per cent off energy costs. With a district energy system—a network of underground pipes that heat or cool multiple buildings—waste heat can even be stored. This includes heat from data centres, industry and metro systems, as seen in countries like Japan, Korea or Chile. But integration is also needed at different levels, from vertical governance to horizontal, cross-sectoral planning, policy, and finance. “A sustainable city needs sustainable infrastructure and an integrated, holistic and circular approach to sustainability challenges,” said Tserenbat Namsrai, Mongolia’s Minister of Environment and Tourism, who backed the resolution on creating sustainable infrastructure. The Cities Summit showed that visionary local governments, companies and communities are developing solutions that link systems like transport, energy, housing, water and waste. Some cities have set high climate and/or circularity targets. Osaka, Japan is including energy policy and climate change measures within urban development planning to enable integrated solutions. 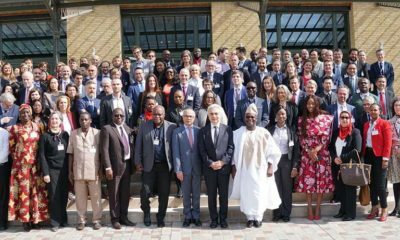 Dakar, Senegal emphasized the need for good data to undertake holistic planning, while and Buenos Aires and the Ministry of Environment in Argentina demonstrated how multiple levels of government can jointly address the sustainable management of land, transport, and energy. 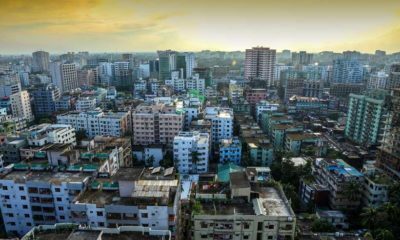 The new UN Environment Urban Systems Integration programme will help local and national governments accelerate their transitions to circular and low-carbon economies, enhance efficiency, and reduce cities’ resource demands while improving health and well-being. Country participants, including Korea, Poland and Germany, also expressed support for such a partnership. “Our specialty is to integrate things in Korea and we stand ready to assist any city and country to fast track to integration,” said Benjamin Yoon of the Korean District Heating Corp and a member of Korea’s delegation to the UN Environment Assembly. The initiative aims to support cities in developing integrated approaches to cross-sectoral infrastructure planning and policies and in implementing key technologies that can facilitate connections and interactions across buildings, energy, transportation, wastewater treatment and waste management. As United Nations Secretary-General’s Special Envoy for the 2019 Climate Summit Luis Alfonso de Abla, said in the closing panel, “we need concrete, bold and ambitious climate actions”. The commitment by UN Environment and partners to accelerate integrated urban infrastructure is undoubtedly one such action.